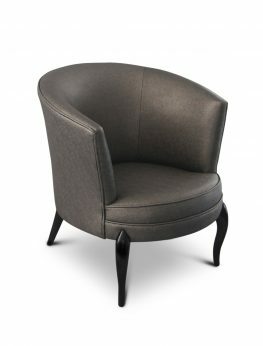 Our designer chairs are made to order and available in a wide variety of fabrics and finishes. 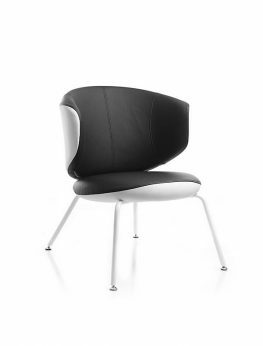 All our chairs are suitable for the home or commercial environments including restaurants, clubs and hotels. 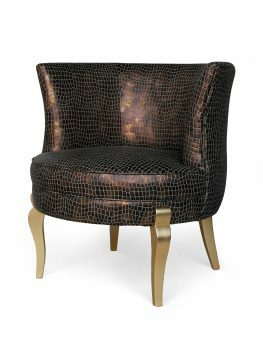 With a modern edge, full of vintage glamour, Chandra chair is both bold and daring. 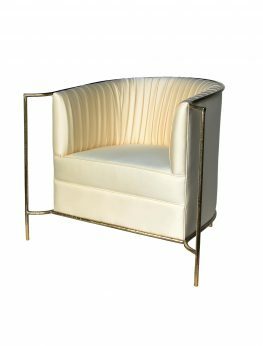 Polished brass elements delicately bind the chair highlighting the sculpted fluidity of the tight back satin upholstery, giving this piece a truly exclusive, luxurious feel. 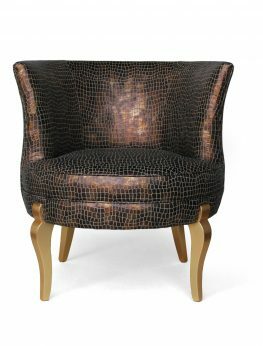 With an insatiable appetite for glamour KOKET designers took the classic tub chair to new heights and built this incredibly elegant Chignon chair, fully upholstered in a soft Reptilia Phyton Champagne colored fabric. A real show stopper! 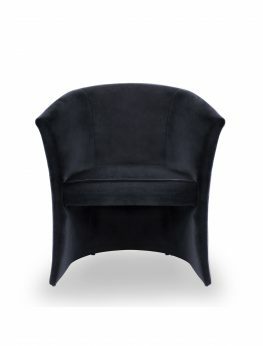 Clubin is distinguished by its rounded form and design which refers to the pop-art style. Seat: made on base of wooden profile and injected foam. 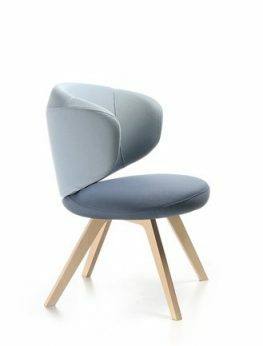 Frame: Conference chairs on legs. Metal frame powder painted or chromed. 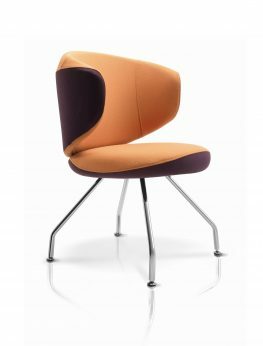 Chairs can be equipped optionally with felt feet for hard floors. Clubin 715 is distinguished by a rounded form and design which refers to the pop-art style. 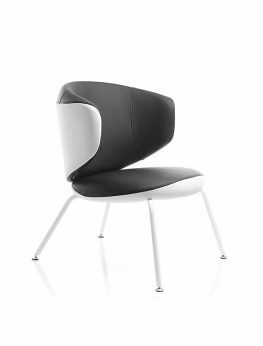 Seat: made on the wooden base with injected foam. 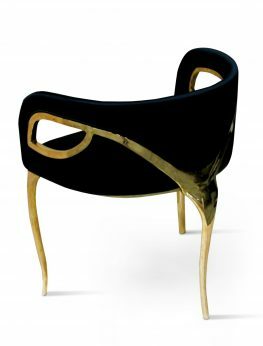 This exquisite chair embraces you with its heavenly curves & luscious elements. 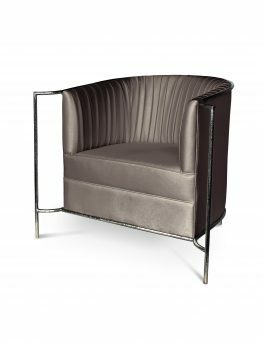 Beautifully upholstered, and cleverly accented with black lacquered feet, this piece has that much needed edge that makes it unforgettable. 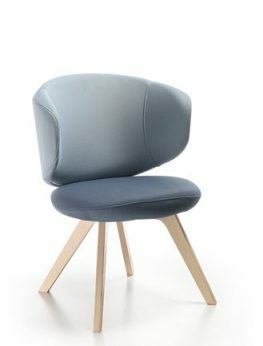 This chair is truly delicious! 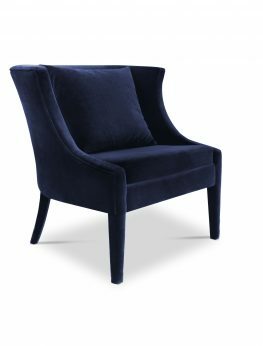 It embraces you with its heavenly curves, luscious accents, luxurious upholstery, and stylish, beautifully designed feet. 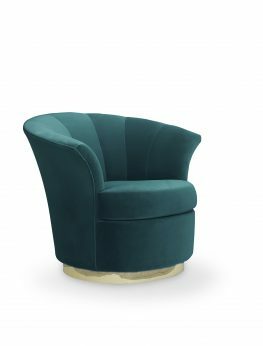 This provocative fully upholstered satin chair with a matte, gold hammered brass band outlines, pleated upholstery brings comfort and luscious elegance to your interior. 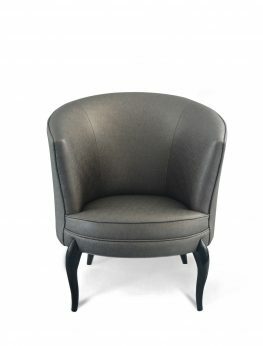 A truly distinctive piece made by our skillful artisans. 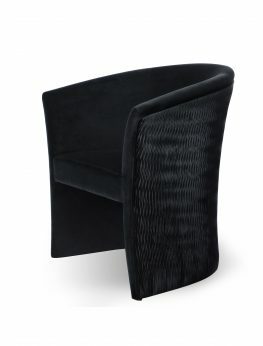 Drapesse chair is a tribute to Dorothy Draper’s style; a classic with a lavish and sensuous edge. 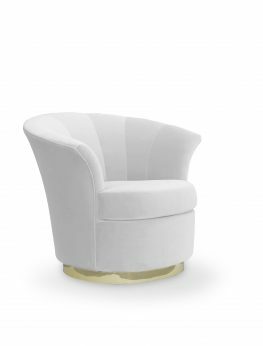 This piece features a luxury velvet and metallic cream leather, finished with polished brass feet. 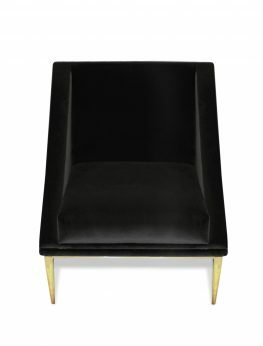 It is a real gem that will enhance, and bring charm to any interior. 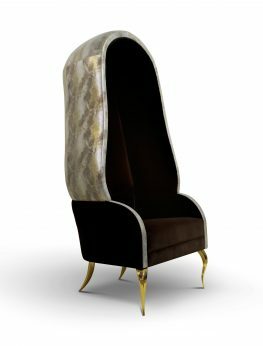 The allure and mystery are what this chair represents and brings to your interior. 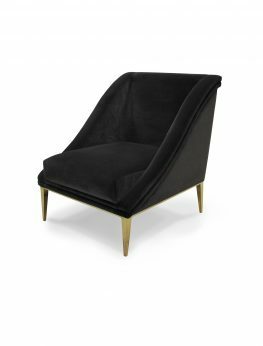 A modern, curved design in a luxurious black velvet upholstery fabric is just what a contemporary space needs to make it lavish and opulent. 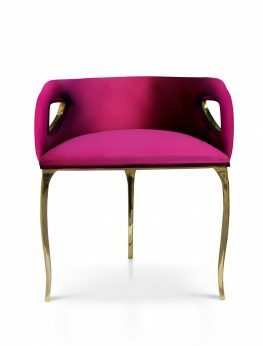 Geisha chair graces a room with the extravagance and poise of a Kyoto Geisha. 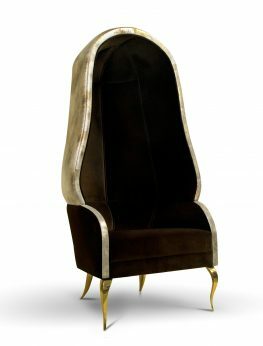 This upholstered in black velvet piece with soft tufting, polished brass band wraps, polished brass feet is truly magnificent, unusual and eye-catching. 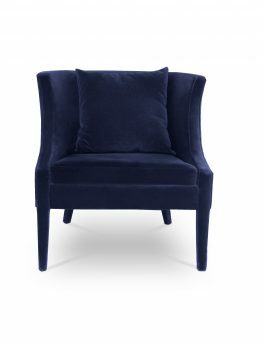 A beautiful addition to any interior.